Designed to make you happy. We create websites and presentations that make you grin your head off. When you look at your website, do you smile? Does your webinar grab your clients’ attention and leave them wanting more? We believe it should. Every single time. We create timeless design for start-ups, small businesses, individuals and non-profits. But that’s only part of the story. Our process is painless, seamless, and yes, even joyful. It's like having a design BFF for your business. Because design makes us happy, and we want it to make you happy, too. We do it all, so you can do more. Finding the right graphic designer for your project can feel like a full time job, especially if you're not quite sure what all you'll need when your idea really takes off. Maybe you're tempted to just do it yourself, but that will take time. Time you'd rather spend not staring down design software. Time you'd rather spend on your business, or with your family. If you have ever wished you could just say "Make it so" and design happens, you're in the right place. 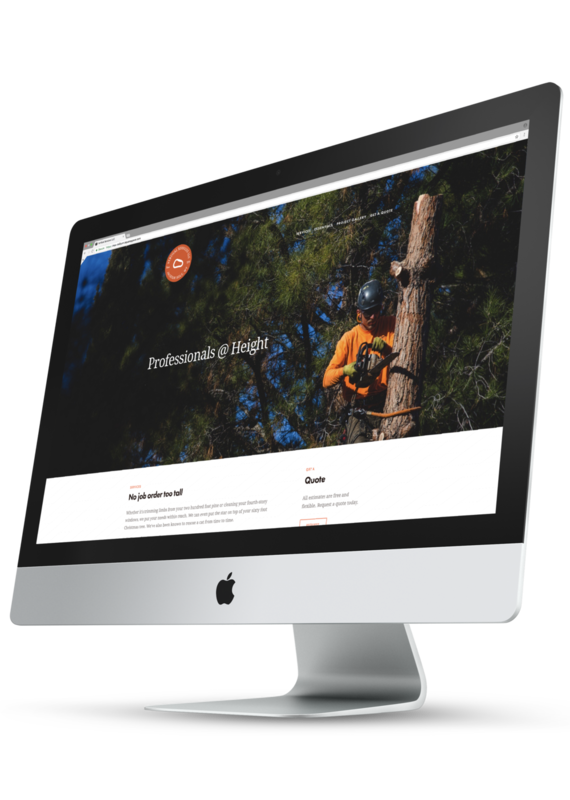 We build + redesign websites that do more than simply look great - they work great, too. Need to-the-point slides for pitch day, or an engaging deck for your online teaching session? Look no further. 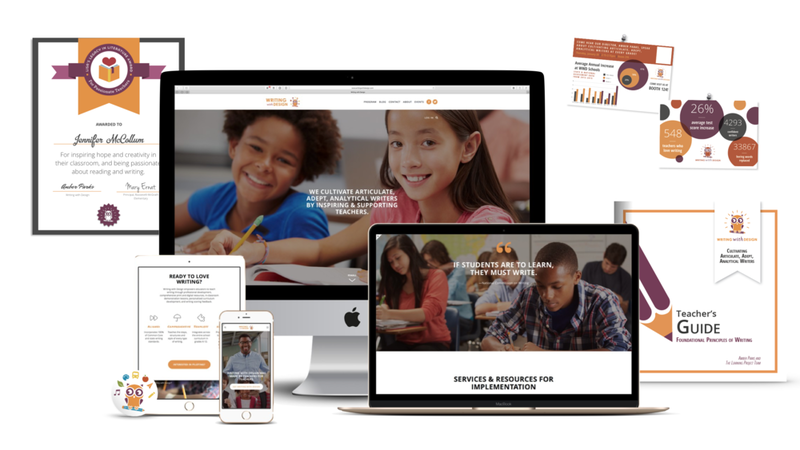 Your expertise + our engaging slides, educational handouts, and fillable PDF workbooks = kaboom! We believe that relationships deliver results. There's more to your business than what you do. We look deeper, to your values and ideals, to why you're doing this in the first place, and share that with your audience in everything we design. No more waking up in the middle of the night, worrying about why your website doesn't bring in clients or those slides you still need to design for your upcoming presentation. At Monkey Dog Design, we focus on creating two things: powerful, responsive websites and engaging, beautiful webinars and presentations. 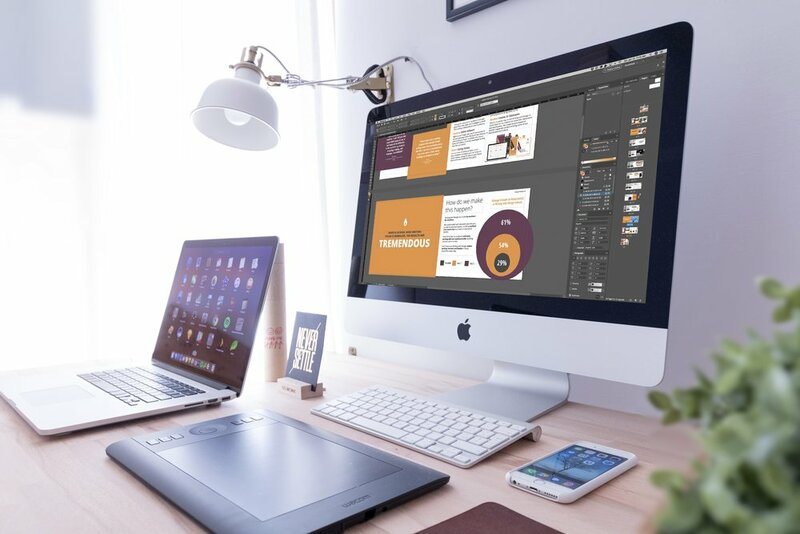 Our portfolio is extensive, including everything from websites, webinars, presentations and course material to business cards, logos, t-shirt design, branding, infographics, and everything in between. We’ve done it all - now we’re focusing on our ninja skills. Whether you need your 1990s website redesigned or you’re starting from scratch, we can help. Need a webinar or presentation that includes handouts? No worries. We’ll take your design from zero to hero. We’re on a mission to make your experience with graphic design nothing short of fantastic. We love our jobs, but we hate the bad rep designers get. And we all know the rep is there for a reason. We hear stories all the time like this one: “My web designer took seven months and still didn’t finish my website.” Or: “I could never reach him - when I called, he didn’t answer, and he never returned my emails.” Just as bad, or perhaps worse, are the designers whose pompous attitudes ruin their clients’ experience. You know the ones - they insist that their design is awesome, when in fact, it’s poop, and it doesn’t look like anything you requested or that you’d want to show off. We just shake our heads at that nonsense, because really? We’re on a mission to prove that working with a designer can be a fun, respectful, and endlessly rewarding experience. We listen to our clients, enthusiastically embrace creative work, and create products that we would be proud to give to our mamas. Check out our portfolio to see some of our designs and read the client testimonials. We believe that you are where the magic happens. We work with non-profits, small businesses, start-ups and individual entrepreneurs. But what about big companies? you ask. Well, that’s just not how we roll. We work with people who are striving to make a difference in the world, whether by encouraging healthy habits or by leading a food rescue movement, empowering small business owners, feeding children or shaping future leaders. Get a design team who cares.